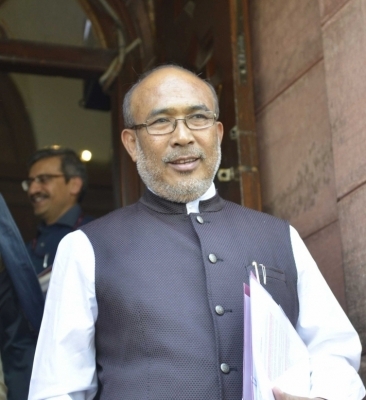 Imphal, Oct 8 (IANS) A total of 22 persons died in Manipur in the five rounds of devastating floods the state experienced in the past few months, Chief Minister N. Biren Singh said on Sunday. He said the floods also destroyed properties “worth a whopping amount” apart from crops, incurring heavy losses for the farmers, while roads and bridges were also damaged dislocating normal life and hampering economic activities. “The government could not take up repairing and construction works of the roads and bridges in view of the floods and heavy downpour. However, once the rains stopped the government has undertaken construction works under the norms of the CPWD,” said Biren Singh. He exhorted the people to contact him through the anti-corruption cell and the grievances cell, opened for the first time in the office of the Chief Minister, and inform about sub-standard constructions and other complaints. He said repair works of the roads in and around Imphal have already been completed. “One of the priorities is to plug the numerous potholes on the roads and we have succeeded in this respect,” Biren Singh said. Officials said a few thousands crores will be needed for the repair and construction works.